While most relationships have their share of ups and downs, very few couples are willing or able to invest the time and/or money that traditional relationship therapy would cost. This doesn’t mean that they’re more or less committed to the success of their relationship than other couples – only that they have different limits as to what they find an acceptable intrusion into their private lives (particularly when it comes to a third party such as a therapist). 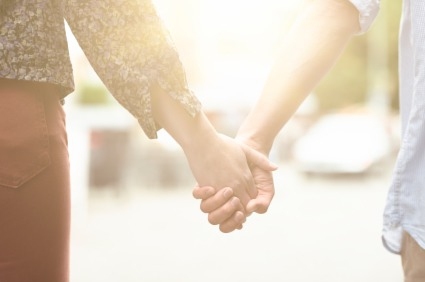 The good news for those that find themselves in this particular situation – or even when one partner simply isn’t willing to go into therapy – is that there are things you can do that can lead to self healing and repairing a relationship that may be damaged. You can do this as one partner or as a couple, although it’s much more effective when both people participate. We’ve become a society of do-it-yourselfers, so it only makes sense that we’re bringing this idea into the more personal aspects of our lives rather than the simple home improvement projects. Positive thinking is a great place to start. Whenever the roads of romance become a little too rocky for comfortable travel, it’s time to take a step back and remind each other why you fell in love in the first place. Make a list, write a letter, write a poem, or take a few minutes to hold each other and dance. Remind each other of the wonderful person you are when unencumbered with the worries of the world, children, finances, and the world outside the circle of your arms. There are many different styles of self-therapy that you can use. You may want to check out some books on the various styles and read them together for advice, guidance, and perhaps a little insight as to where your specific problems may lie and the best path to take in the future. One highly recommended style of relationship therapy is known as the Imago, which is Latin for ‘match’ style. You can find many books on this topic either online or at your local library. The important thing is that you take as many steps as possible together. Role-playing is another great way to obtain valuable insight as to how you perceive your partner as well as how he or she sees you. You may learn a lot about how the English language is woefully inadequate at conveying precise messages. You may intend to say one thing and your partner may hear something else entirely. It’s important to learn how to communicate with one another positively and accurately. Working together through self-therapy and role-playing can help you achieve that. Server responsed at: 04/25/2019 2:29 a.m.